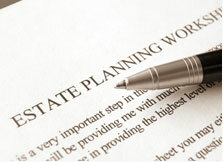 A trust is another estate planning tool to effectively distribute property. Trusts come in many variations and types, but at their core, trusts create legal, fiduciary relationships where a grantor (called the "settlor") gives a third-party (called the "trustee") legal title to certain property, which is subject to the equitable rights of one or more beneficiaries. Trusts are very complex and intricate instruments. If they are not drafted properly, a trust can result in detrimental tax consequences, for you and your beneficiaries, who the trust is designed to benefit the most. Our attorneys draft individual documents to fit the needs of you and your beneficiaries, giving you piece of mind for generations to come. The estate planning attorneys at Bellotti Law Group, P.C. will work with you to draft trusts that achieve your short and long-term goals while minimizing or avoiding taxes and the costly and time-consuming probate process. Call us today at 617-225-2100 for a free telephone consultation to discuss your options. Revocable "living" trust/family trust: A revocable "living" trust, also called a "family trust," is a trust is drafted while the grantor is still alive. As it's name suggests, it is revocable, so you are able to make changes to it at any time or reclaim the property originally transferred into it. A revocable living trust describes how property should be managed during your life and how it should be distributed when you pass. Revocable trusts are commonly used when a grantor wants to retain control and use of property while he is still alive, such as living in a home, but upon passing, wishes to transfer property to another named beneficiary. Irrevocable trust: Unlike revocable trusts, irrevocable trusts cannot be changed and revoked once they are created. However, they do offer distinct tax advantages that are not available with revocable trusts. They are often used to keep life insurance proceeds separate from an insured's estate to avoid estate taxes. Testamentary trust: Under a testamentary trust, a grantor's assets are distributed to a trustee when the grantor passes, who holds and manages a beneficiaries inheritance according to the terms set forth in the trust. Testamentary trusts are often used to pass assets to minor children or children, preventing them from spending it all at once. A testamentary trust will be taxed as a whole, but the beneficiaries under the trust will not be individually taxed for the devise. Credit shelter trust: A credit shelter trust, known also as a "Bypass Trust" or "A/B Trust," is a popular choice among married couples with a large amount of combined assets. Couples whose assets exceed twice the applicable Federal Estate Tax Exemption exclusion amount are eligible for the trust. Each year, this threshold is set at varying ceilings. When applicable, the A/B Trust can be a very valuable tool to save couples estate tax on their assets. Under an AB Trust, the first spouse to pass funds the trust with assets valued equal to his/her available exemption. These assets then "bypass" the estate of the surviving spouse and pass to descendants, tax free, pursuant to the exemption of the first spouse to pass. Life insurance trust: A life insurance trust is a type of irrevocable trust that is used in situations where the client's assets, which include life insurance, real estate, and retirement benefits, amongst others, exceed the estate tax exemptions in place. Charitable remainder trust: A specific type of trust used to accomplish both charitable and estate planning goals, which is funded with assets from a taxpayer who wants to contribute to a charity and reduce his taxes at the same time. The estate planning lawyers at Bellotti Law Group, P.C. serve Greater Boston, Cambridge, Quincy, Braintree, the South Shore and all of Massachusetts. Our offices are located in Boston, Cambridge and Quincy. Call us today to discuss tailoring a will and other estate planning documents to keep your assets secure for generations to come. Contact us today at 617-225-2100. You can also contact us through our online form and we will promptly respond.